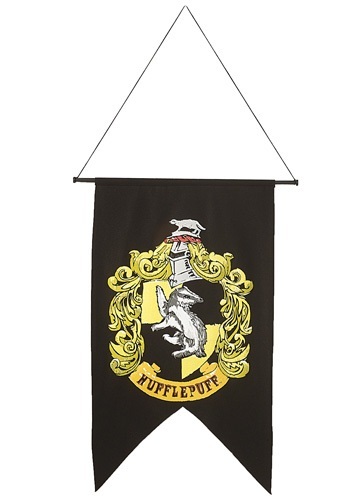 Loyal and true Hufflepuffs will want to hang this Hogwarts Hufflepuff House Banner in their room! The black polyester felt banner measures 20 by 30 inches and has a plastic rod for support with a black cord for hanging. It has the black and yellow Hufflepuff House crest on the front. Collect all of our banners, for the entire school and for each House!